Dog is scared to walk into the room. His solution? I can't stop laughing! Dogs have been a faithful companion to humans for countless generations, and one of their most important roles have been guardians. To this day, there are many homes that utilize guard dogs to keep their homes safe. However, not all dogs are brave! 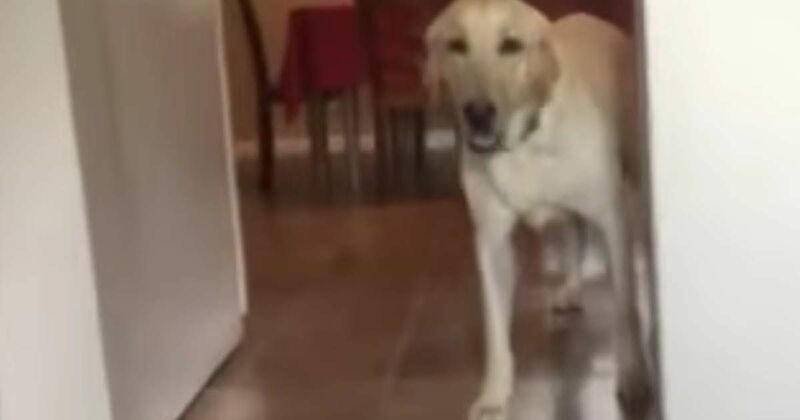 The video below perfectly demonstrates how much of a scaredy-cat dogs can be. The dog is scared of the doorway, and his solution is to walk through it backwards. This may seem strange, but several dogs experience a fear of doorways. According to All Experts, these kinds of fears are most common with rescued dogs that have been rehabilitated into a new environment. Walking backward through the doorway is just a method this particular pooch has developed to conquer his fear. Good dog! Love this video? Make sure to share it with your friends on Facebook!